Today’s blog message is in the form of a small brag. Please bear with me. Publishing via Print On Demand was the topic of this month’s meeting of the Washington Biography Group meeting. Unfortunately, I was unable to be present due to being out of town but, due to my experience with the topic, was asked to provide some notes about what I would have contributed to the discussion. So well received were my notes that Pat McNees, recording secretary for the WBG, posted them on her blog, Writers and Editors. If you have any interest in knowing something about printing books via Print On Demand, you might want to read these notes: http://www.writersandeditors.com/blog.htm?post=839828. 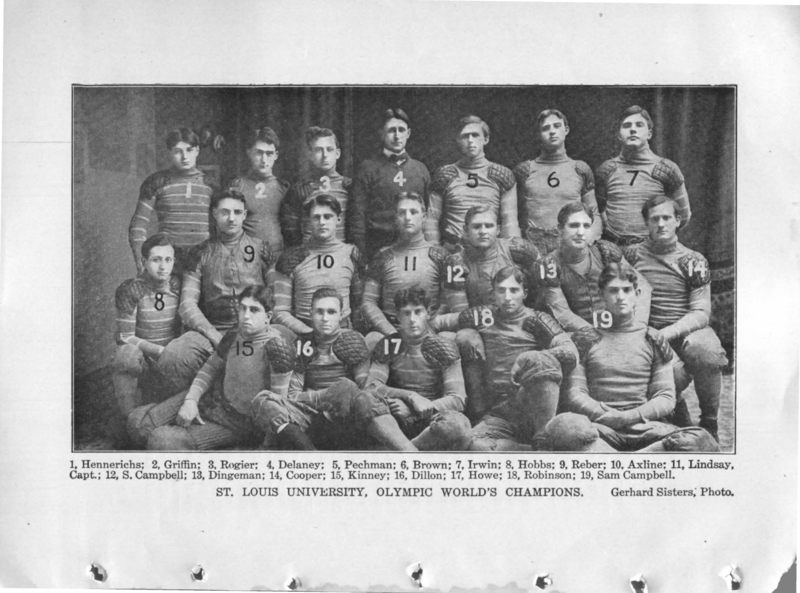 Looking at these old Spalding’s Guides, most of which include Carlisle Indian School team photos, has given me an idea. 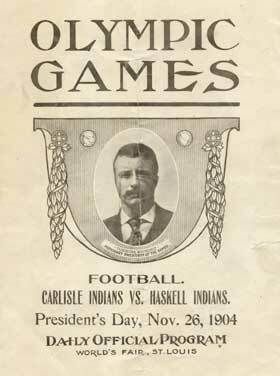 Because the team photos have all the people in them—players, coaches, managers and mascots—identified, putting these photos in a single book in chronological order would be helpful for relatives and other people interested in Carlisle Indian School. Richard Tritt, Photocurator at Cumberland County Historical Society (CCHS), and I have spent a great deal of time and effort trying to identify people in photographs from Carlisle Indian School. Sometimes, we had no idea at all who a particular person may have been and some other times we were probably wrong. 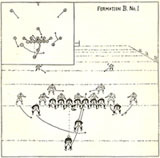 The photos in Spalding’s Guides had the players’ images numbers by the team prior to being sent in to Spalding. Had Spalding numbered them all, the number faces would likely have varied less than they actually did. Team photos other than the ones sent in to Spalding exist but most weren’t identified at the time they were taken. Still, they are useful because they were generally taken at a different point in the season and may include more or some different players than the one Spalding used. The photos used in early Spalding’s Guides tend to be of just the starters and, sometimes, a couple of substitutes. Other photos of the team may include more complete rosters or different starters. Regardless, having all these photos in one place should be helpful to researchers, family members and aficionados. Spalding’s Guides often include information about individual players as well as team results. 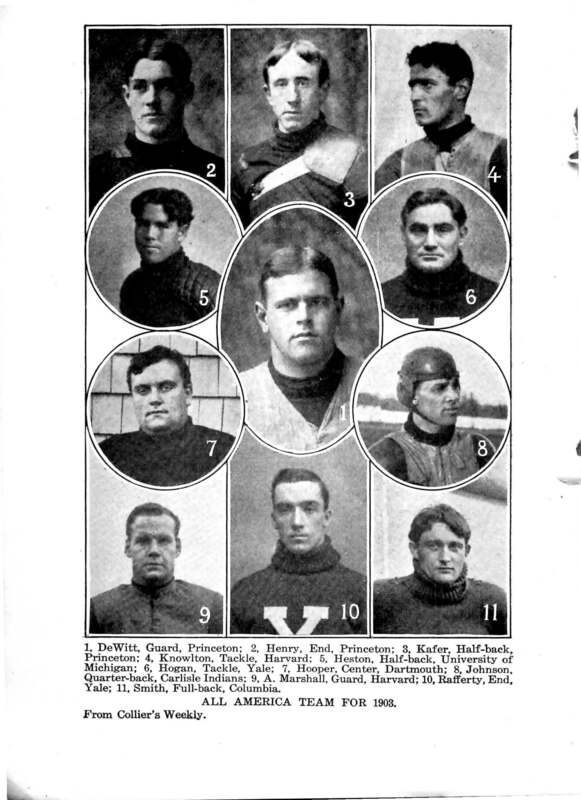 This information could be included in chronological order grouped with team photos for the particular year. 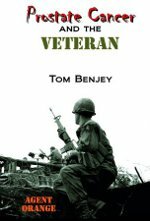 Before undertaking this project, I would like some feedback as to the desirability of such a book. Please let me know if you might be interested in one and what you would like to see in it. 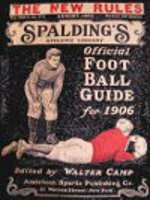 The 1904 Spalding Guide includes various pundits’ All Whatever Teams, ranging from Walter Camp’s annual All America teams to others’ nationwide selection to various regional teams composed of who they thought were the best players from the 1903 season. Not surprisingly, some Carlisle players’ names were included in some of these selections. More surprising was that some former Carlisle stars were listed but as members of other teams, usually major universities! Next time, more on 1903 Carlisle Stars. 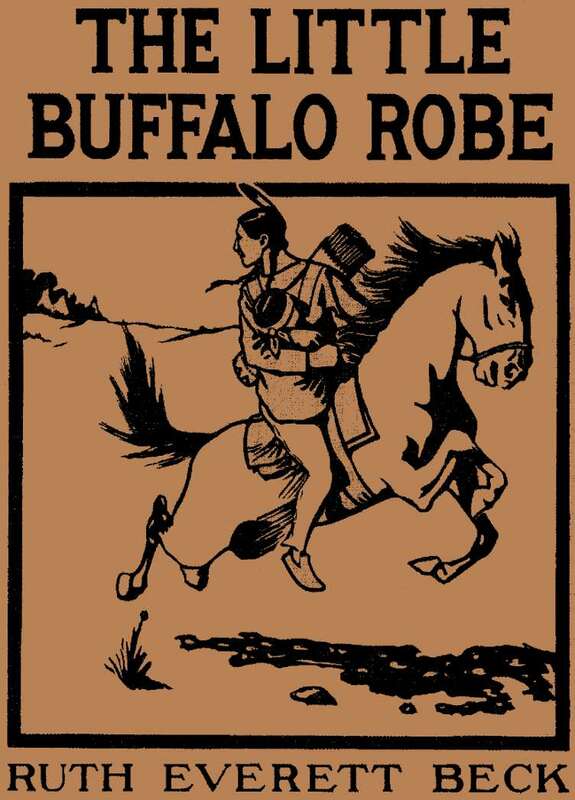 The last few days have been spent cleaning up the scanned PDF of The Little Buffalo Robe, a task that proved to be much more time consuming and tedious than expected. 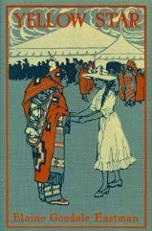 I am reprinting this book and Yellow Star because they were illustrated by Lone Star Dietz and his wife, Angel DeCora, while they were on the faculty of Carlisle Indian School. Because these books have been out of print for the better part of a century, it is likely that few people have ever heard of them and, thus, have not seen the artwork contained in them. Yellow Star contains four full-page black and white reproductions of what were likely color paintings done jointly by the couple and signed by both of them. 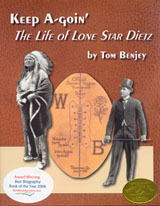 In 1911, when this book was first printed, Dietz preferred to be called William Lone Star and signed the artwork in this book with that moniker. 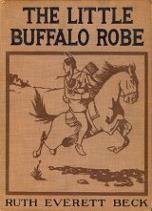 The Little Buffalo Robe includes four full-page black and white illustrations as does Yellow Star, but only the frontispiece was done jointly; the other three were Angel DeCora’s work alone. In addition, the book contains numerous, and I mean a lot, of smaller pen-and-ink drawings of things related to the story line. Most of them were done by Dietz, a few by Angel, and others were not signed. One of the joys of reading this book is admiring the frequent illustrations. I found The Little Buffalo Robe to be very interesting because it says much about the culture of Plains Indians at the time. The protagonist, a young Omaha girl, tells the tale of her odyssey after becoming separated from her tribe and parents. Her adventures as she encounters Assiniboine, Dakota, Pawnee and Winnebago adults are told from a Omaha child’s perspective and reveal much about the customs, culture and beliefs of her people. The author, Ruth Everett Beck, was a white woman who grew up Lyons, Nebraska along the Missouri River in the time and place where this book was set. She likely learned the Omaha customs as a girl as she was reputed to be an authority on some aspects of Indian life.